What day is it? It’s today. 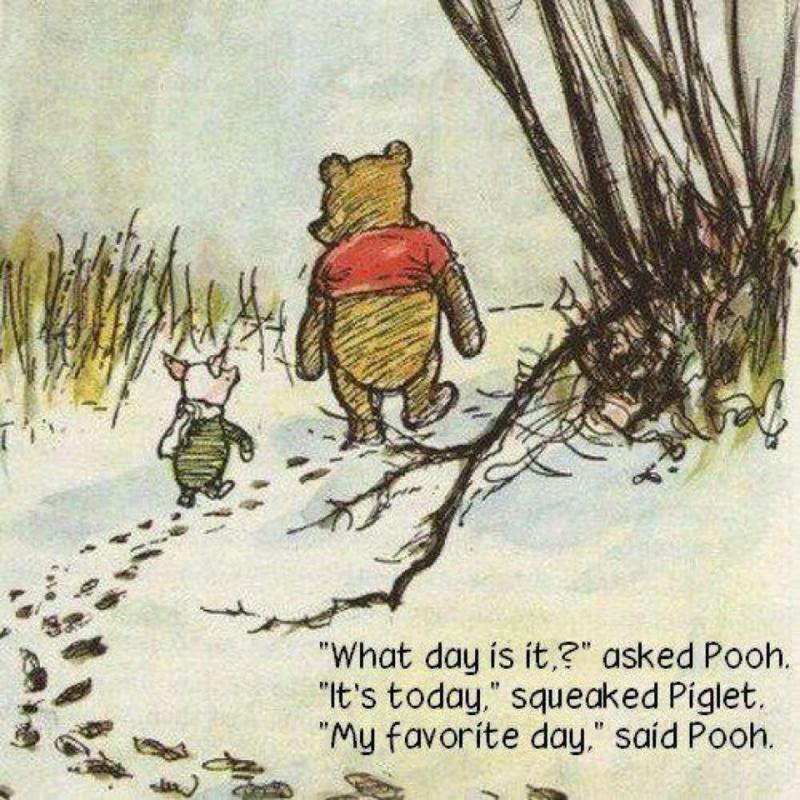 My favorite day, at Red Hat. Red Hat has a diversity and inclusion group called Red Hat Pride, a group of lesbian, gay, bisexual, transgender, queer/questioning, and asexual/androgynous Red Hat associates and their allies who are working together to make Red Hat a more diverse, inclusive meritocracy. Ally is a term used to describe someone who is supportive of the LGBTQA+ community. On Tuesday along with the other Red Hat diversity and inclusion groups, we staffed a table for this week’s New Hire Orientation class that included around 75 people, a good majority of whom were 2017 summer interns. I marveled as 11 people from the class signed up to be on the mailing list for our group. I’m not naive enough to think our community still doesn’t face lots of challenges around the globe these days, but this gives me hope for a new generation of kids. I want to invite every Red Hatter to share a story about a specific time when you were proud to work at Red Hat. These stories will be used to collaboratively craft a “functional why” for each of our core organizations, and ultimately, an overarching Red Hat Why. My favorite story. You are loved! How wonderful. Thanks for sharing that. Literally gave me chills. I’m so glad that you feel Red Hat is a safe place where you can be yourself and share bits of your life with us. ❤️ this  We’re so lucky to have you John Martin! John, don’t think we’ve ever met… but good to meet you now. I wanted to take a moment to tell you how much I appreciated your “Why” story. I can only hope that there is a day sooner, rather than later, where anyone does not have to perform that gut check for the “safe place” before speaking freely. All the best! This is my favorite story so far :-). Thank you for sharing, John. My brother wrestles with that question of “am I in a safe place?”, too, but he also works for a company where he doesn’t have to worry about it. He’s told me similar stories—and how it makes his life so much richer to be able to live openly and freely. Thanks. You made my day, and made me even prouder to be a Red Hatter. 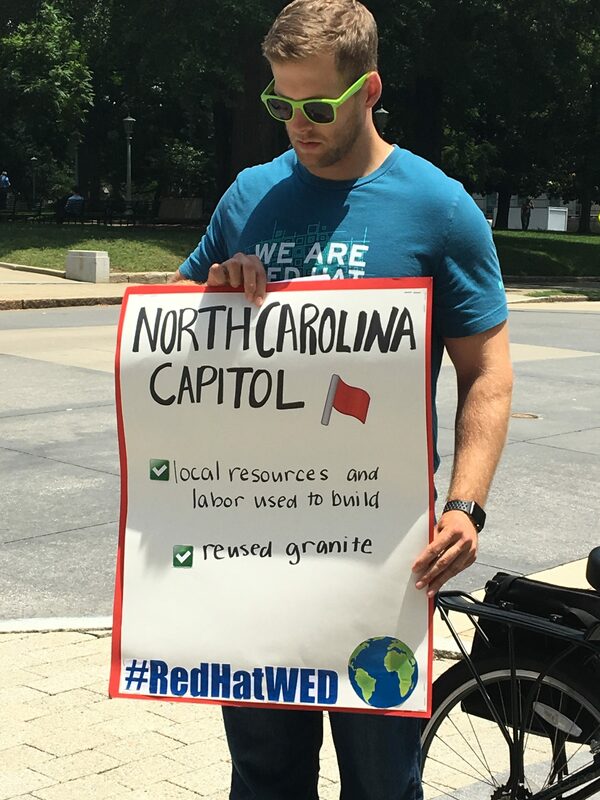 Our Red Hat Global Workforce Solutions group hosted a “Sustainability Walking Tour” in celebration of World Environment Day, and we walked about a mile around the area of our building, where we stopped at various “stations” to learn facts about how our city is protecting our environment in a number of ways. At each stop, someone held a sign that listed the ways the nearby things were being protected. Thanks to the GWS team for putting together the Downtown Raleigh Sustainability Tour. I was surprised that it was as informative as it was fun. You guys rock! I. LOVE. THIS. and you! 🙂 You bring such joy to Red Hat Tower! Ha! Thanks for the laugh. John, the picture made me laugh! Thanks for the positive note and glad you enjoyed it. Have a great rest of the week. 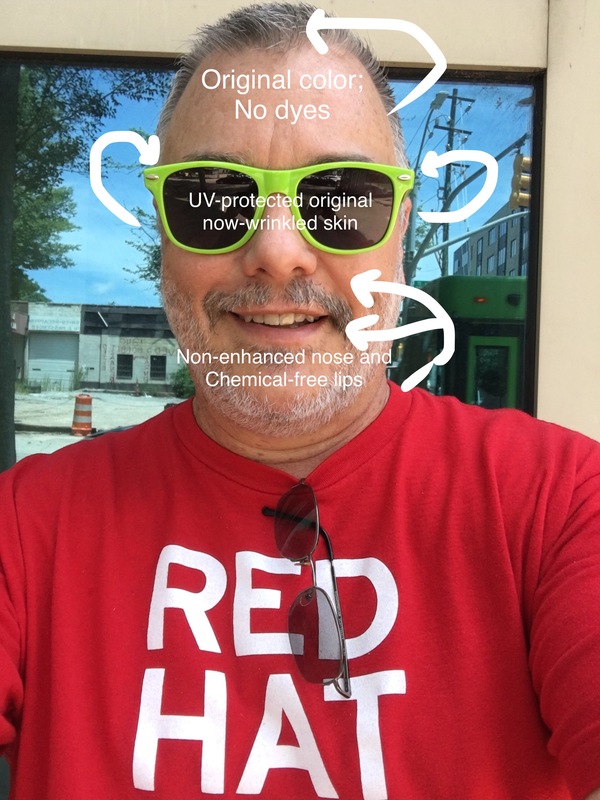 I love that you feel comfortable being your authentic self at Red Hat — that’s fantastic! Kudos to Red Hat for being so awesome and you for sharing your awesomeness with them.